It’s not the 1990s anymore? I guess me and my black & white floral dress didn’t get that memo. 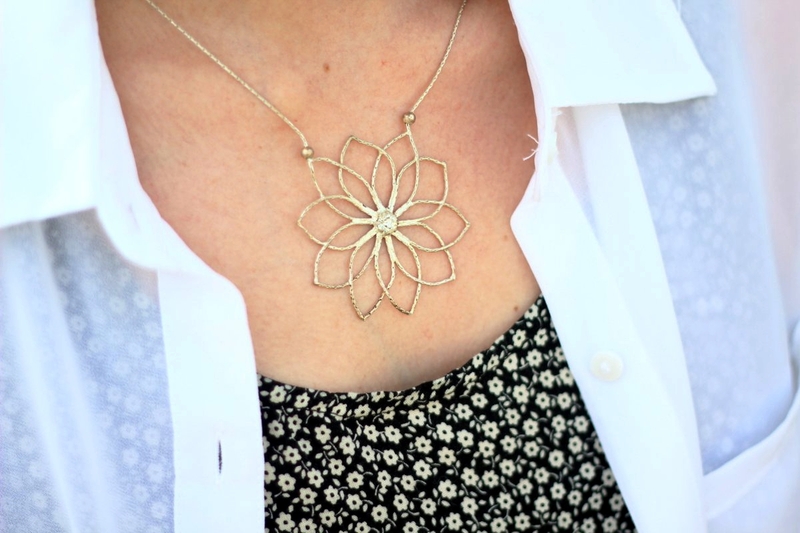 Move over LBD* and make room for my floral print version! This outfit didn’t start off as a nod to the ’90s but here we are anyways. What good is having a personal style if you don’t exercise your freedom to dress from other decades every once in awhile? Despite this outfit having major throwback vibes, the individuals pieces of this look are actually really timeless. Not to sound like a broken record, but this dress has been my go-to this summer. If being an outfit repeater is wrong then I don’t wanna be right! After wearing it for about the 100th time, I was getting a little bored of the dress as is. Because it was still the dead of summer, my layering options were limited. A cardigan was too heavy, a blazer was completely out of place, so what did that leave for options? 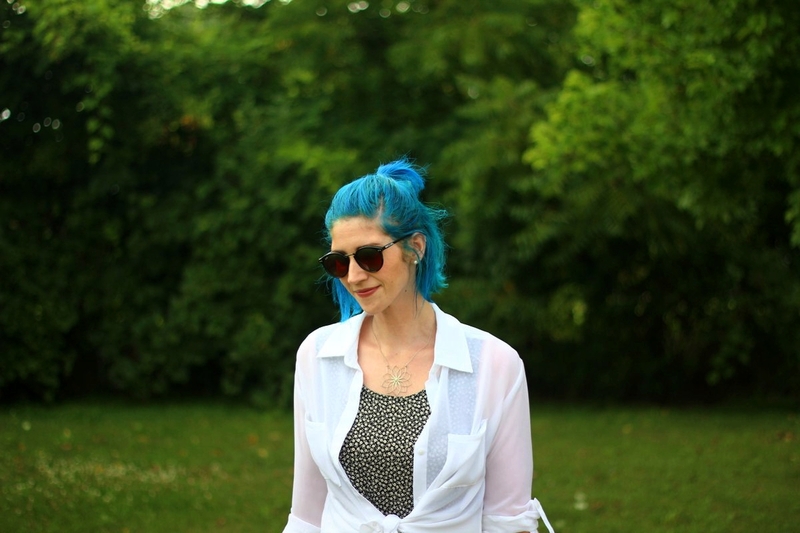 Enter: a sheer white button-down to the rescue! 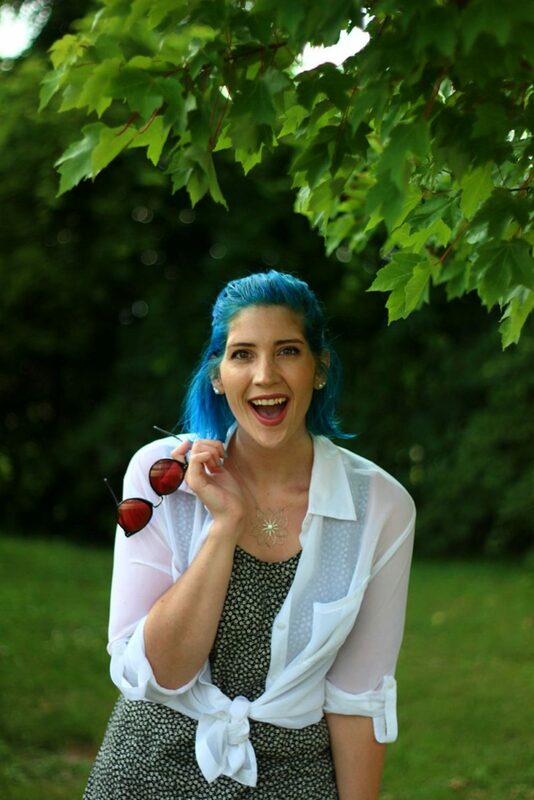 I tied it up for a cropped look ala Cher from Clueless and rocked the ’90s style complete with bright blue hair and the perfect round sunnies. Who knew a white-button down could look anything but business? You just never know what could be hiding in your closet. 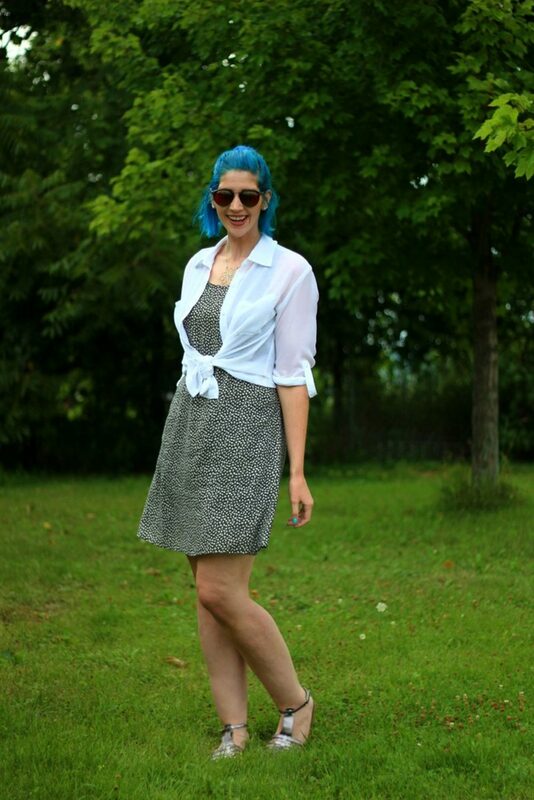 A dress could be a skirt, a scarf could a be shawl, and a button-down can become a cardigan!